Is Yaz Riskier Than Other Birth Control Pills? In the land of Yaz commercials, everyone has a sassy doctor friend who enjoys casually discussing the possible side effects of oral contraceptives. But in reality, for at least 74 plaintiffs, the side effects can't be brushed aside as easily. 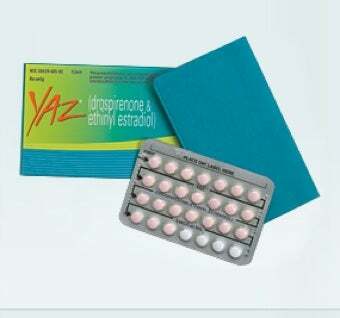 According to Natasha Singer of the New York Times, Yaz, the most popular birth control pill in the country, and its sister brand, Yasmin, are currently facing 74 lawsuits filed in connection with the drugs by those who claim the pills "put women at higher risk for blood clots, strokes and other health problems than some other birth control pills do." This is not the first time Yaz has run into trouble; in 2008, the FDA ordered Bayer to stop running Yaz ads that claimed the pill was a cure for PMS and acne, leading to a series of "corrective" ads on Bayer's part that attempted to make up for the misleading campaign whilst still pushing Yaz as a sassy alternative to old school birth control. But the misleading campaign fiasco is now the least of the brand's troubles—earlier this month, Bayer was reprimanded once again by the FDA after several batches of drospirenone, an ingredient used in Yaz, failed inspection after being shipped to the US by Bayer from a German manufacturing plant. And now, with several lawsuits on their hands, Bayer is faced with the challenge of keeping their money-maker afloat despite criticisms from former users. Anne Marie Eakins, a former Yaz user, tells Singer that the pills caused her to develop blood clots in her lungs, and that she "lost partial use of her right lung" as a result. "I didn't think it was going to be worse than any other pill," Eakins admits, noting that she'd used several other birth control pills for a good ten years before switching to Yaz. Bayer, however, claims that the risks of Yaz are no greater than the risks of other leading birth control pills, despite the reports of blood clot troubles and even deaths associated with the drugs, and as the rare side effects are listed in the information provided with the medication, Singer notes, the plaintiffs may have a difficult time in court. Perhaps the most frightening aspect of all of this is the general lack of information that seems to be given out along side birth control pills; they're advertised like lip gloss or mascara, a fun little accessory to throw in your purse, as opposed to a medication that does carry many risks and should be treated as such. This is a problem that extends to all ads for medication; the consumer is told to go to the doctor and demand a certain brand name, without even knowing, exactly, what the medication really does to the body. Someone always does a voice over about diarrhea and blood clots and death, but all the audience seems to pick up on are the scenes of horses frolicking or women laughing or couples holding hands in the sun. This is not to say that we should scare the hell out of women when it comes to promoting birth control, but one hopes that the FDA will push to ensure higher standards and safer medications, and that when women do consider birth control pills, they are given all of the information necessary to make an informed choice—from a real doctor, not some actress who just plays one on television. What do you think, commenters? Do you worry about the side effects of your birth control pills? Or do the benefits outweigh the risks?